This magnificent carpet is beautifully hand-knotted in pure silk and cotton material including open Kashan design pattern. This design has been originated from Persia. 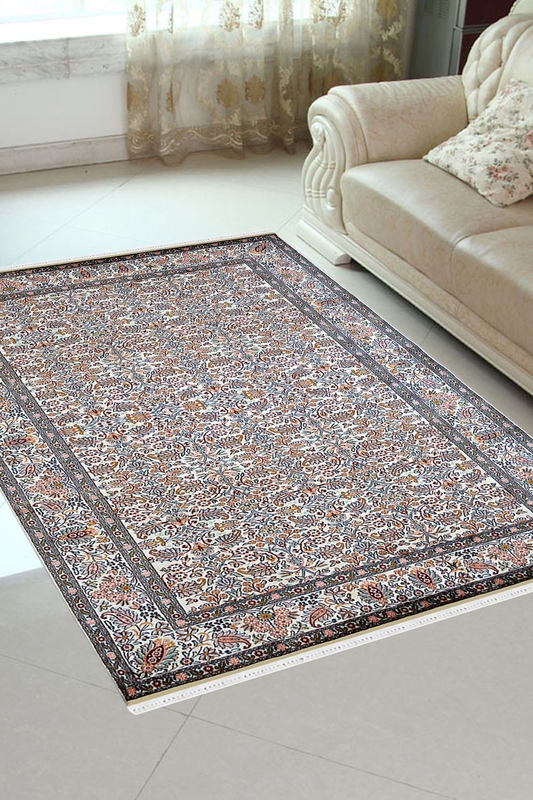 Bring the majesty of Indian art and tradition to your house by picking this superb hand-knotted silk on cotton rug. The beautiful design woven in premium quality silk thread along with pleasant color combination gives a graceful yet luxurious appearance to your home. Order Indian silk rug now to indulge in the experience of a unique makeover of your interior.